Happy Monday! Thanks for regularly visiting me this day each week. My blog statistics say you looove my Happy Freebie Monday segment and so in spite of the loaded morning I had, I made sure to spare a window to create a free printable for you. As promised last week, you’ll be getting some essentials to ease your kitchen life today. So, what are you waiting for? Come view the pages and snag a copy of this very pretty meal planning binder that I’ve especially created for you and your family. 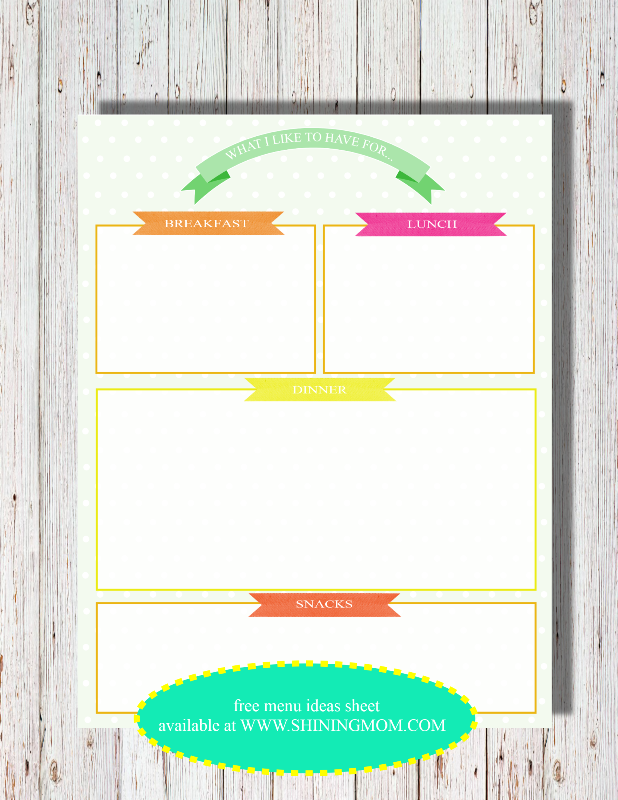 Enjoy this free printable healthy meal planner for healthier days ahead! Before we head to the PDF link, let me give you a quick tour to this 4-paged meal planning binder. Let’s go? 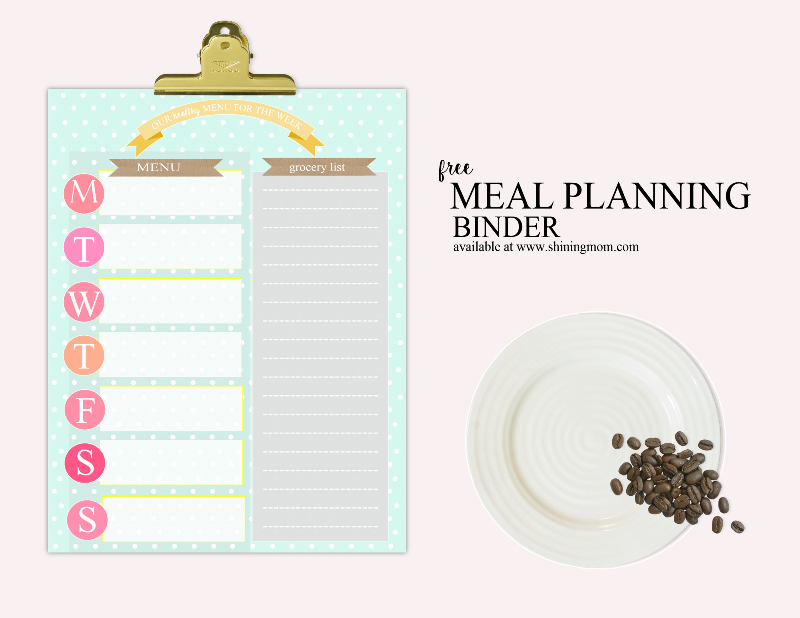 Since I think this meal planner would make a great addition to your existing home planner or to our free printable 2016 binder, I’ve created a cover page which can also serve as a pretty planner divider. The design comes in refreshing colors, in polka dot background. 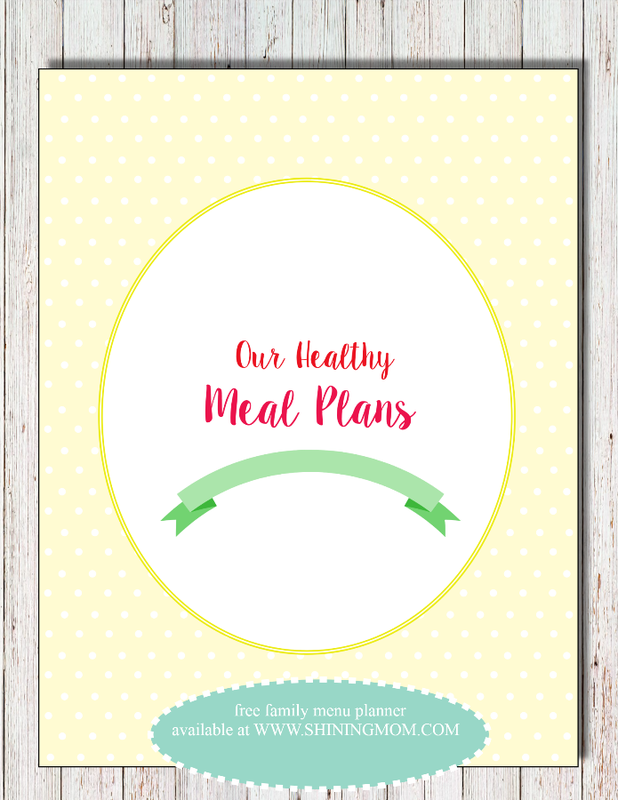 And since everyone aims to serve healthier meals for her family, I’ve created the binder cover with the title ‘Our Healthy Meal Plans’ so we will all be reminded that this meal planner should be filled with healthy menus! Heeheee! Do you sometimes run our of ideas on what to cook? Let all the family members fill in this pretty sheet with what they like to eat for breakfast, lunch, dinner and even for snacks! You can have them write their preferred meals weekly or monthly, depending on your meal planning style. You can also use this to have them write their ultimate favorites so you can come up with a master list of meals that your family loves. How do you like this idea? 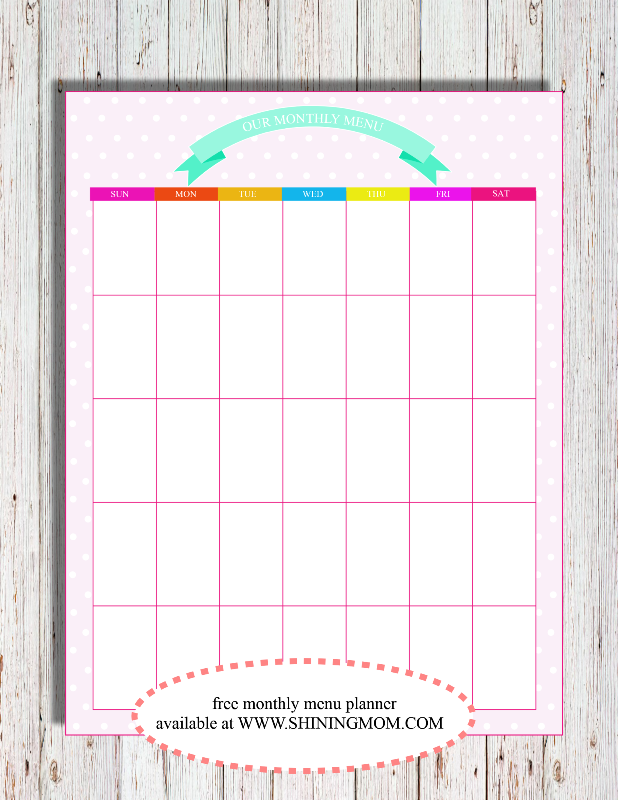 The next free printable meal planning sheet that you’ll be getting is actually a monthly meal planner. This monthly planning sheet is not dated and it gives you the flexibility on how you’d like to use it since the boxes are just plain. Whether you like to use this to write all your family meals in a day or just your dinner menus, it’s really up to you! You may also just scribble the name of the month right below the ribbon! 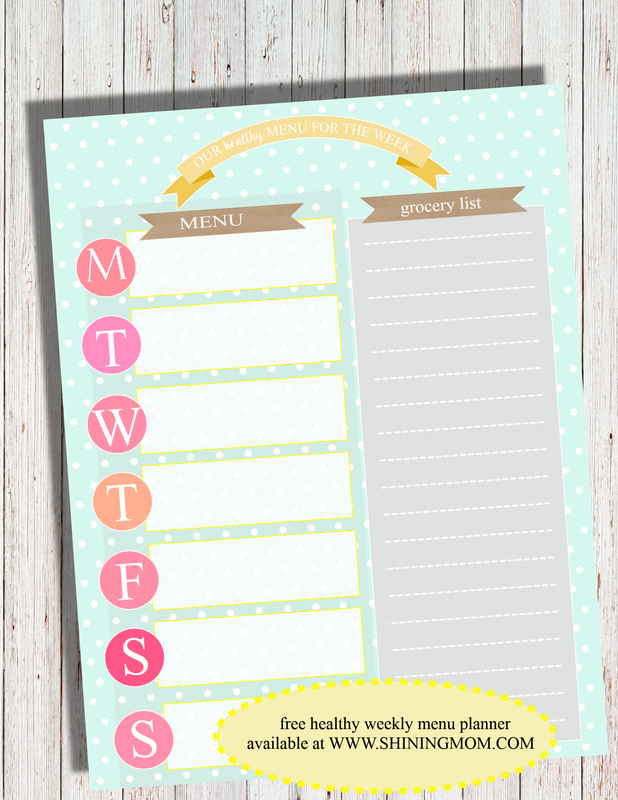 I so love this one as the layout is truly functional for your weekly meal planning needs. This planner allows you to write what you have for each day of the week plus it also has a special column for the groceries. I think this is also nice to be seen by every family member so I suggest that you stick it onto the fridge door! Put this weekly meal planner in a plastic laminate and use erasable markers when writing onto it so you won’t have to print it over and over! 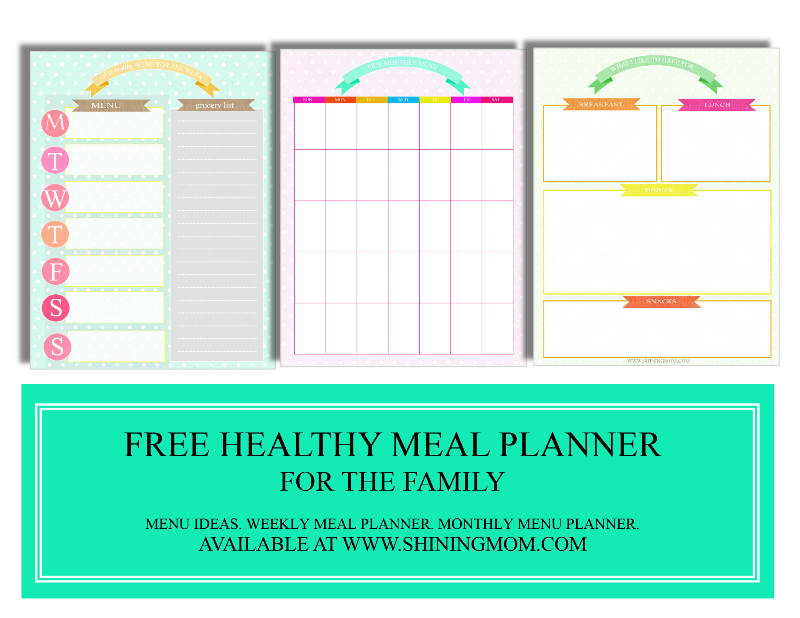 I really wish you could use this free meal planner binder and I really wish we’d all write healthy meals onto the pages! I know you’re excited to get it and I am just as excited to release it, too! Grab your free printable meal planner here, sweet friends! Help me grow this blog by pinning the image below onto your Pinterest board! Please? Reminders! Reminders! This free printable meal planner is for personal use only. You may not sell, share, or link directly to the PDF download!